I have been tattooing for 10 years now, and I'm loving every minute of it! I love to create new and interesting designs, especially on the skin! I specialize in alot of different styles, from New School and bio mechanical, to black & grey and photo-realism. I take great pride in knowing every client that walks out of the studio doors, has gotten a custom, one-of-a-kind tattoo, and are fully satisfied. I'm currently located at Old Republic tattoo company in Sacramento CA. So if you love to have fun, laugh so hard your sides could split, and get great artwork done, then I hope to see you in the chair soon! 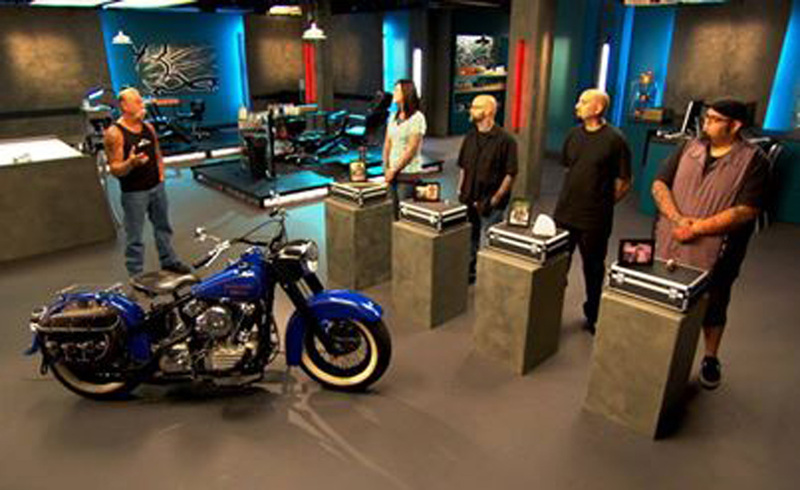 CMT's Tattoo Titans Season 1 "Gear Heads" episode winner! See the full episode on YouTube!